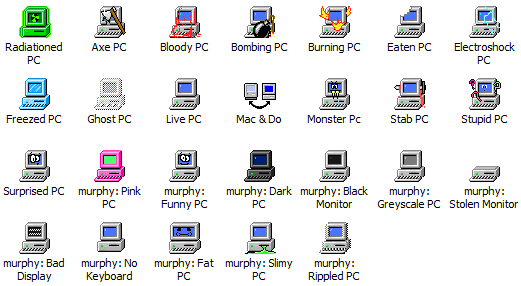 the deadicons are two small icon library's with dead pc's and dead mac's. 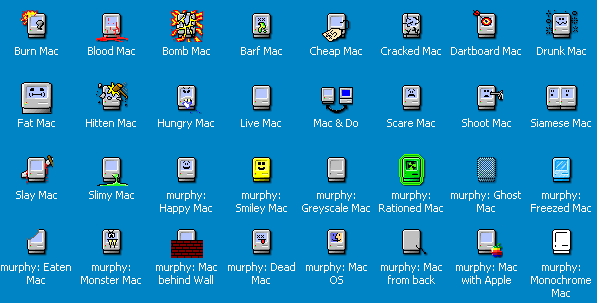 2002/6/27 - Second version released to web with 68 icons. 32x32 with 2, 16, 256 and XP color variants. 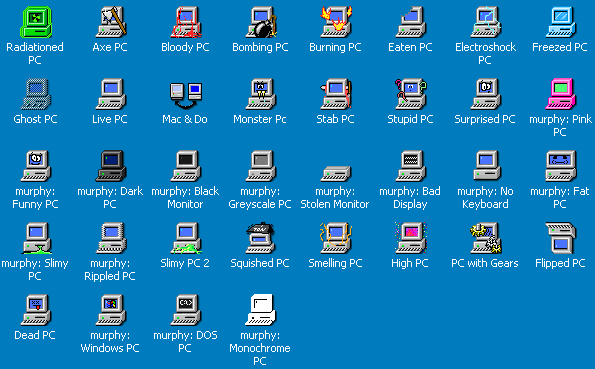 2001/11/16 - First version released to web with 53 icons. 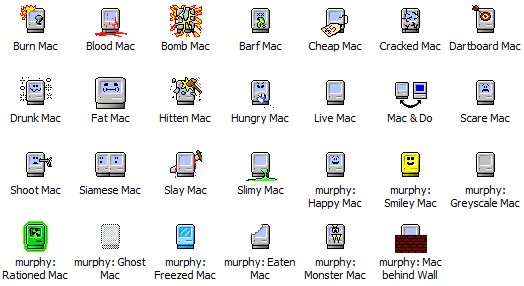 All Mac icons have a 16x16 with 16 color variant.